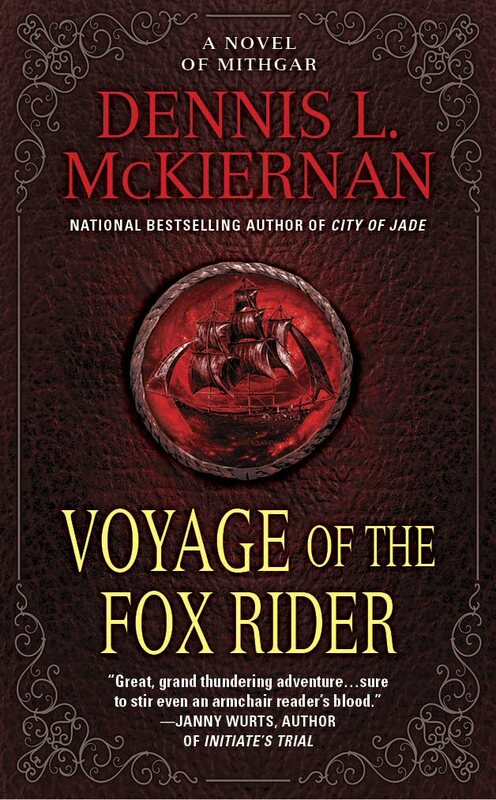 Foreword to "Voyage of the Fox Rider"
Before the Separation. . . . Now there is a phrase that has appeared more than once in my Mithgarian sagas. Before the Separation. It all has to do with another phrase: Once upon a time. You see, if the old tales are true, then Once upon a time there lived on this planet peoples of myth and creatures of fable. Alongside Mankind did these fantastic beings exist-pixies and fairies, elves and goblins, chimeras and brownies and sphinx . . . and whatever else you'd care to name. Once upon a time . . . before the Separation. You see, there must have been a Separation if the mythical peoples and mystical creatures are gone, for I am certain that we didn't kill them all-they are much too wily, much too magical-and so, they must have simply left. And if gone, where gone? Elsewhere! That's where. In between! Into the twilight! Into the dawn! Why? Why are they gone? Somewhere along the way, arrogant Mankind claimed all the world as his own to do with as he willed. Man's appetites were insatiable, and he multiplied and multiplied and multiplied, seemingly without limit, and wherever he went he raped the land and poisoned the soil and air and waters of the world. Slowly, gradually, the legendary folk and fabled creatures were displaced, were pushed back, were shoved into ever smaller enclaves. Always did they hope that Man would mend his ways, see what he was doing, what he had wrought, and reverse the destruction; always did they hope that Man would begin to revere the earth which sustained him. But that was not to be, for Man continued his wanton ways, destroying as he went. And so, the day came when the harm reached a point where the peoples of legend could no longer abide what Man had done and was continuing to do. And so they simply gathered up the creatures of fable and left, separated themselves from this destructive beast named Man. They went elsewhere, away from this world, to a place where Man was not. You may ask, Does he truly believe in any of this? My answer is, Look around. Do you see any creatures of fable, peoples of legend? Or do you instead see the ravage of Mankind? Perhaps someday if Man becomes sane and begins caring for the world, begins reversing the destruction he hath wrought, restores the soil and air and waters, restores the forests and fens and mountains and wilderness to what they once were, and takes fair measure to reduce his own numbers to a tenth or a hundredth or even a thousandth of what they are — let me see, five point five billion divided by a thousand . . . perhaps it is enough — if he does all these things, then it just may be that the peoples and creatures of legend and fable will return. I would hope so, for the world is a sadder place without them. Words to make you cry.